The Methodist Episcopal (M.E.) 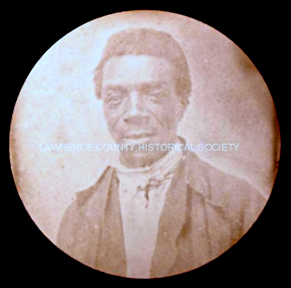 Church was organized in May 1844 by John Norman, Isaac Baker, Daniel Starks, Thomas Hall, Elijah Jackson and John Harris (formerly of Virginia). Their small congregation met for services in the home of Isabelle Taylor. Until the school board gave the congregation permission to use the basement of the Academy* on Jefferson Street as a place of worship, services were held from house to house. As the congregation grew, a lot was purchased and their first little church was erected on North Shenango Street with a seating capacity of 125. The church would relocate to West Lincoln Avenue for a time. Then, in 1887, the M.E. Church joined the African Methodist Episcopal (A.M.E.) connection. 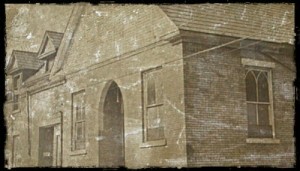 A new church was built at 119 Elm Street and dedicated on September 6, 1891. That building (see photo) served the congregation for over seven decades before it fell to the redevelopment project in the mid-1970’s. On October 16, 1977, ground for the current St Luke AME Zion Church was consecrated. It is located at 603 Harbor Street in New Castle, Pennsylvania. *The “Academy” referred to is uncertain. Perhaps it was the New Castle Female Seminary located on South Jefferson Street near the Diamond, or the New Castle Academy whose exact location is unknown.